Jussi Linnanmäki (Finland, 1990) began his musical education at the age of seven playing the trumpet at the Music Institute of Lapland. Two years later he continued his studies at the Oulu Conservatoire where he also began singing studies as a secondary subject during the high school years. At the same time he began his choral conducting studies at the Orivesi College of Arts. 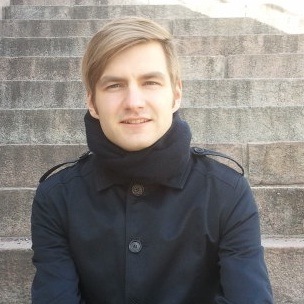 Since 2014 Linnanmäki has studied in the church music department at the Sibelius Academy of the University of the Arts Helsinki (bachelors degree). At the moment he is particularly interested in singing and related issues and developing his skills with singing teacher Eeva-Liisa Saarinen.